Q: How can I submit my nomination? A: You are welcome to submit a nomination online at www.courageotcomeback.ca/nominations or you can request a hard copy application by emailing courage@coastmentalhealth.com. Q: Can I nominate myself? Q: Can I nominate more than 1 person? A: Yes! You can nominate more than 1 person. You will just have to submit one nomination application per nominee. Q: Can I nominate my partner/friend/family member? A: Yes! You can welcome to nominate anyone as long as they live in British Columbia and consent to being nominated. If the nominee is under 19 years of age, we require consent from a guardian as well. You can be the guardian consenting to the nomination if you are the legal guardian. Q: What if I want to nominate someone that has already been nominated this year? A: If the person you want to nominate is already being nominated, consider nominating another individual deserving of the award. Otherwise, you are welcome to provide a letter of support to the nominee if someone else is already determined to be the nominator. Q: Can I nominate a past recipient or a past nominee? A: Unfortunately, you cannot nominate someone who is a past Courage To Come Back Award recipient. For a list of past recipients, please click here. However, you are welcome to nominate anyone who was a past nominee, but was not a recipient. Q: Can I nominate someone as a surprise? A: We require all nominees to consent to being nominated, so unfortunately, you will not be able to surprise them. We also want all nominees to have a say in their application to ensure accuracy. Q: What category should I place the person I’m nominating? A: When submitting a nomination, consider which category is the dominant factor of their story. That should be the category they are nominated in. If you require a second opinion, please contact courage@coastmentalhealth.com. 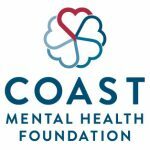 Please note that Coast Mental Health Foundation may move nominations to another category if necessary, but we will always inform the nominator of this change before it happens. Q: What are the letters of support? Can I write a letter of support if I am the nominator? A: The letters of support are supporting documents to support your nomination. Typically, they are written by those who have seen the nominee’s journey to recovery. They can be, but not limited to, spouses, friends, doctors, councilors or teachers. We leave it to you to determine who you feel should write these letters of support. We recommend letters of support to be no longer than 2 pages. We also do not recommend the nominator to submit a letter of support as your nomination application will detail why you are nominating the nominee. Q: Why can’t I submit a video or picture for my nomination? A: At this time, we are not accepting videos or pictures for nominations to ensure fairness for all nominations that are being carried over to be reviewed. If you do submit these files, Coast Mental Health Foundation is happy to collect them, but will not be able to pass them over to the panel of judges. Q: After I submit the nomination, when can I expect to hear back? A: When you submit your nomination, you will automatically receive an email confirming that Coast Mental Health Foundation has received your nomination. You will then receive an email when your nominee reads and consents to your nomination. We will notify all nominators, nominees and recipients in late March to early April 2019 of the status of their application. Q: How are the recipients determined? A: All nominations will be carried over to the first panel of volunteers comprising of health professionals, mental health advocates in Vancouver, corporate partners, volunteers and supporters of Coast Mental Health Foundation. Each category will be shortlisted to 3 nominations and then carried over to the final panel where a recipient is determined for each category. Q: Will I receive tickets to the Courage To Come Back Awards event if my nominee is a recipient? A: All recipients receive 5 complimentary tickets (including one (1) for themselves) to the 21st annual Courage To Come Back Awards. They are able to determine who to bring at their own discretion. If you are interested in purchasing tickets to the event, please feel free to purchase here. Coltyn Liu, 16, of Vancouver, is the 2016 Courage to Come Back Award recipient in the Youth category. Christy Campbell of North Vancouver is the 2016 Courage To Come Back Award recipient in the Physical Rehabilitation category. Jemal Damtawe of Coquitlam, is the 2016 Courage To Come Back Award recipient in the Addiction category. Mental health issues can be a component of any life adversity. Triumph over an adversity often means triumph over the challenges of maintaining mental health in the face of adversity.